The VIX indicator, also known as the Volatility Index indicator, is a tool used by US stock market analysts to determine its overall bearish potential. For this reason, it is sometimes called the "fear guage". The calculation of this index is very complex, but highly valuable, as it provides warning signals to investors of future overall market direction. What Is the VIX Indicator? It is a measure of the implied volatility level of a wide selection of put options with an expiration period during the next 30 days. This is then annualised. The general idea is, that as more put options are being purchased by fund managers as a hedging vehicle against falling stocks, their price will increase due to increased demand and thus their "implied volatilty" will rise. Not only so, but call options are included in the calculation as well. Fund managers will be more inclined to sell call options when there is an expectation that prices will fall in the near future. Options from stocks that comprise the broad based S&P 500 index are used to create the VIX. This is because these underlying top 500 US companies provide the best prediction for any upcoming probable risk or market volatility. Basically the VIX Indicator will begin rising in times of financial uncertainty and it will reduce when investors are complacent. This makes it a good warning sign of potential market sell-offs. A new method of calculating the VIX indicator was adopted in 2003, which used the next and near put and call alternatives to compute the Implied volatility for the S&P 500 Index. There is only a very slight difference between the two. Typically, the near term options will have a validity of only a week, while the next-term options will have a validity of up to 12 months. Every price of an option will have an implied volatility, also called the standard deviation. The volatility indicator therefore calculates a subjective implied volatility average in order to determine the anticipated volatility in 30 days, for the S&P option. These days are not trading days but calendar days. • Choose the next term and near term put and call options for calculating. • Compute the implied volatility for every option selected. • Compute a weighted average of the implied volatility of the options you picked, then multiply it by 100. Since the VIX Indicator is closely related to the stock market, it will be affected by the movement of certain attributes of it. If any factor increases, the Volatility Index will either increase or decrease, and if the factor decreases, the VIX will also be affected. Mostly, the VIX Indicator will be used for the US Stock Market and generally speaking, but not always, it will rise when stocks are declining and while the market is optimistic, it will decline. If there is an advancing stock market, then naturally it is considered less risky to buy shares. However, when the probability that a market reversal is high, along with this perceived higher risk will come an increase in option implied volatility. For that, the indirect volatility will be vulnerable to the directional shift in the market. A subsequent market crash will boost the options’ demand and as a result, the costs of the options will increase. The implied volatility will also increase as the decline of the stock market extends. Analysts have established that the CBOE VIX Indicator chart shows defined, extended trends along with irregular spikes. This is believed to happen roughly every 4 years. Over a given period of time, even though the 200 day moving average has remained constant, the VIX will have changed. The ranges will be shifted higher, the trend will fluctuate and the spike will also move periodically. Given that the S&P 500 index moved more than 1400 points as 2006 ended, the VIX Indicator still traded between the range of 10 to 15. This is lower, than the levels observed in 2010, however, the volatility Index shot up between January and June of 2007. As of July of 2007 to October, 2008, the range of the VIX was higher. If the VIX indicator is high, it will suggest that there may be panic in the stock market by the investors. When bullish times come there will be less fear so that there will be limited demand for fund managers to buy put options. In summary, the VIX indicator helps determine if the stock market is safe for investment or if it is risky to be involved in it. Savvy options traders can use this information in conjunction with whatever options strategy or trading approach they are employing. 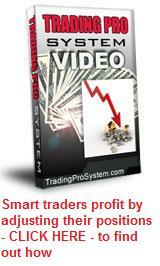 The advantages of using the VIX are more fully explained in the popular Trading Pro System educational videos.